Look at this little cutie-pie's big blue eyes! 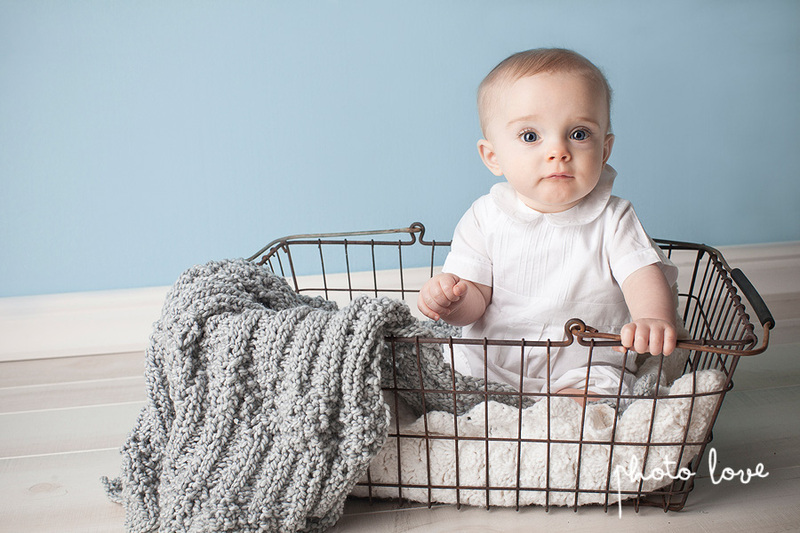 It's shoots like this one that make being a Bentonville baby photographer so much fun! Dempsey and his parents met us at the Photo Love studio. This little guy is a joy to photograph. We were impressed with how nicely he sat for his session and we couldn't stop ooing and awing at these sweet pictures while we put them together for this blog.